Note: Check the FAQ here before asking questions. They say don't reinvent the wheel, so we took what we had in SimplePlanes and incorporated it into SR2. The wheels in SimplePlanes have been used in so many ways, I'm excited to see how you will use them in SR2. Who is going to leave the first rover tracks on Smoon? The wheels already had a lot of options in SimplePlanes, but we did add some additional enhancements for SR2. Now you can customize the rim mesh in addition to the tire mesh, so we went from four visual styles in SimplePlanes to 16 possible combinations in SR2. I think if you could export planes from SP to fly around in the SR world or just put rockets on them for fun. @AndrewGarrison Just out of curiosity, do you still have a pc version (of SimpleWheels) to download? Just for fun? Anyone remember SimpleWheels? 2014/2015 April fools joke? Who is going to leave the first rover tracks on Smoon? Idk but I'll be the first to leave burnt rubber on smoon, and burning parts, wait it's smoon, things can't burn because there's no atnosphere... I'll find a way! Just make sure there's some way to make mechanical suspension, power the wheel and I'll have the first vechile, hopefully if it works like SP, that can leave smoons orbit under car engine power, I made one go 410 under only car engine power in SP so it must be possible, or I'll use a ramp or something, regardless can't wait to see this game come out, also is there any further plans for SP, All I do now is over build redicolus cars, my latest has working sway bars that keep the vechile from rolling in turns of over 300mph, I really love SP! Regardless this game looks great so far! When is this feature coming to sp? @AceDAVE3000 He has said that there will be beta testing round either at the end of this yera or at the start of next year! @AndrewGarrison when do you think simple rockets 2 will come to mobile even as a beta or game preview because i am excited for this! @EagleFlyer @nhan12341184 The answer is almost 100% no. 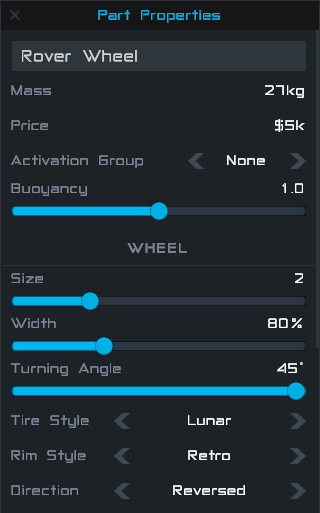 Yes, it will cost the same as SimplePlanes. Can a plane fly on the moon?